Past Life Regression into the void. Everything that we take as real is just the illusion. None of it is real. The Past Life Hypnotherapy session begins with Kevin’s Higher Self explaining to him that everything that he has thought of as real is in fact an illusion. Through our explorations into form the void comes out of sleep and into awareness of itself. We are the nothingness knowing itself. We have been given the opportunity by the All That Is to experience ourselves as infinite possibility. It is extremely difficult to put into words the experience of the void which is simply nothingness. In this session Kevin experiences himself floating in the void, in nothingness which has a profound effect upon him. He is blown away by the beauty of magnificence of the infinite universe. In this past life regression Marie Louise remembers her life in Ancient Lemuria where all was peace and harmony. She then travels back to the Pleiades where she receives information which is of benefit to us all about this time of powerful transformation on our planet. Finally she meets a whale who she had an encounter with in Hawaii and discovers how the whales are helping humanity to remember who we are. The session begins with her connecting to her Higher Heart which is one of her fully conscious aspects. Are you sacrificing yourself? Do you give your power away? Master Jesus has a message for you. In this Divine Self Reconnection Hypnotherapy session my client has a conversation with His Divine Essence to discover the cause of a tendency in this lifetime to believe that everything has to be done through suffering which has caused much pain and drama in his life. In the Hypnosis session his Divine Self guided him to a lifetime where he was a mother of 4 children at a time of great conflict in the land. One of his sons was killed in a war and when this client died he made a vow as he was leaving the body that he would take on other people’s suffering in future lives so that they would not have to feel the pain that his son had felt. When he left the body and returned to the golden light of Oneness he was met by Master Jesus who assured him that we do not need to suffer for others. We need to shine our light, our excitement and our joy, to be a beacon for others and guide them to follow their own joy rather than feeling shame. Many lightworkers including myself have been sacrificing ourselves from a belief that we are unworthy and that somehow sacrifice is noble. Master Jesus assures us that self sacrifice is totally unnecessary and is not the message which he meant to leave here for those who came after him. Copyright © charmian redwood 2018 All rights reserved. I offer the same class at 2 different times to suit different time zones. You will receive the recording for each class so if you have to miss a class you will still receive the activation. These Sacred Energy Activations come directly from Source. They awaken our dormant potential, align us with Source and activate the Sacred Key Codes in our Original Divine Blueprint. 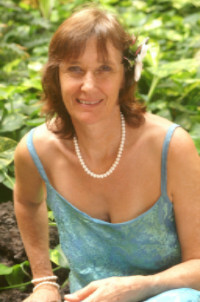 Charmian has taught in all of the Ancient Mystery schools and has returned in this lifetime to bring together the temple teams for self empowerment and assistance to Mother Earth. Copyright © Charmian Redwood*, All rights reserved.